A true insight into what it was really like to sail in Storm Gareth – the full highlights of the 2019 RBSC are now online! After weather conditions failed to produce for three years, expectations were sky-high when the 2019 edition of Red Bull Storm Chase, and the North Atlantic delivered everything we were looking for. Of all the Red Bull Storm Chase competitors, Jaeger Stone (Starboard / Severne / SWOX / Shamal Sunglasses) might not have been the obvious pick to win the 2019 event, when it finally got the green light on Ireland’s northwestern coast after three years of no-go. The warm-water sailor from Australia is, of course, an excellent windsurfer – he had to be to be invited to compete after all – but he didn’t have the reputation for massive jumps like Philip Köster (Starboard / Severne / Maui Ultra Fins), or the storm-sailing pedigree of Tom Traversa (Tabou / GA Sails). 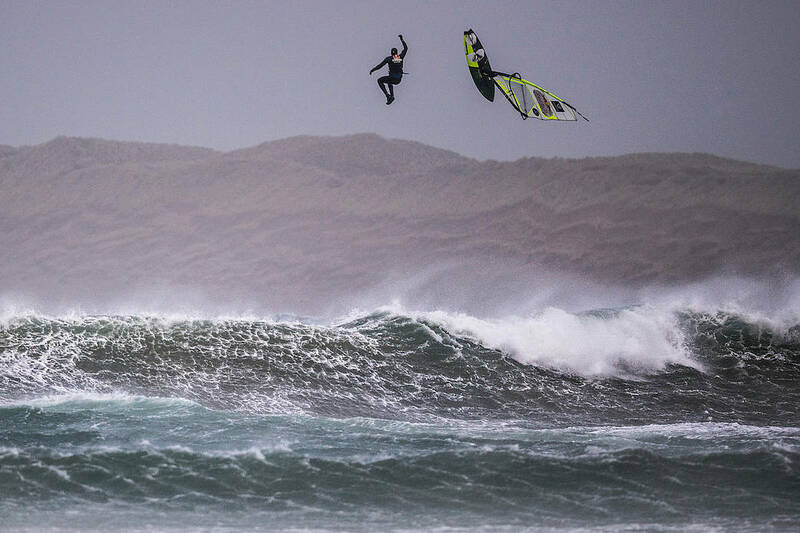 Nevertheless, when Storm Gareth hit the northwest coast of Ireland, Stone was the one who came out on top, followed by Köster, Leon Jamaer (JP / NeilPryde), and Robby Swift (JP / NeilPryde / SWOX).